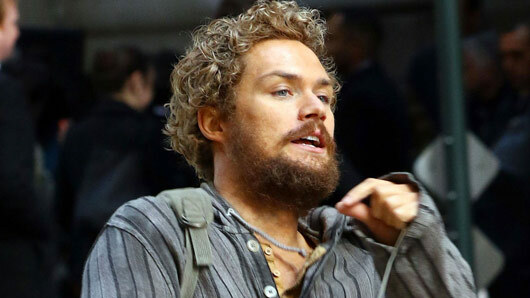 Finn Jones is kicking arse in a new feature released to promote the release of Iron Fist on Netflix in March. The new trailer flashes back to the plane crash that led to the young billionaire-heir being presumed dead for 15 years. It also shows the young Danny being discovered by two monks. Speaking about Danny’s naive return to New York as a martial arts master, Jones says: “He believes he’ll be received with open arms. The first thing he realises is the world’s changed. “His childhood friends, Joy and Ward, are now billionaires running his father’s corporation. They don’t believe it’s him to begin with. Jones also speaks about what Danny’s been up to in his years away from New York. There’s also a hint at what the villain of the Marvel’s Iron Fist will be, as Jones says: “Danny has been told his whole life that there’s this mythological dark force in the world, and he didn’t really believe they were real. It’s possible that whoever Danny battles this series may be connected to the villains of the forthcoming Marvel’s Defenders series. Marvel’s Defenders is scheduled to air later this year and will unite Iron Fist with fellow New York superheroes Daredevil, Jessica Jones and Luke Cage. The series will take place a few months after Daredevil season two. Marvel’s Iron Fist premieres on Netflix on March 31.